Xavier Sala-i-Martin Professor of Economics, Columbia University. 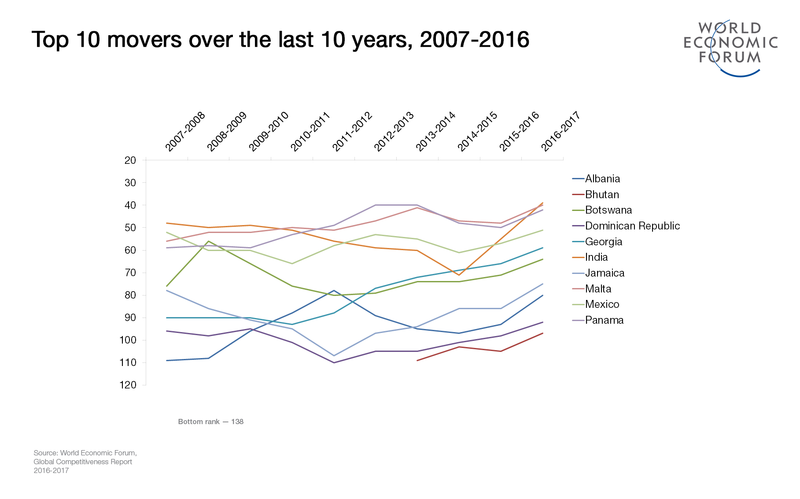 But this isn’t a football league table, where one team’s win is another’s loss: it is possible for a country to go down in the ranking even if it improves its competitiveness. If that seems counter-intuitive, it’s because the word “competitiveness” can be misleading. It implies competition in the sporting sense, with countries pitted against each other in a zero-sum game – and that’s not how to interpret the index. Instead, think of a country’s competitiveness as its level of productivity: its ability to produce more outputs with the same amount of inputs. Clearly, it is possible for all countries to improve at once. Competitiveness, in this sense, matters for three reasons. 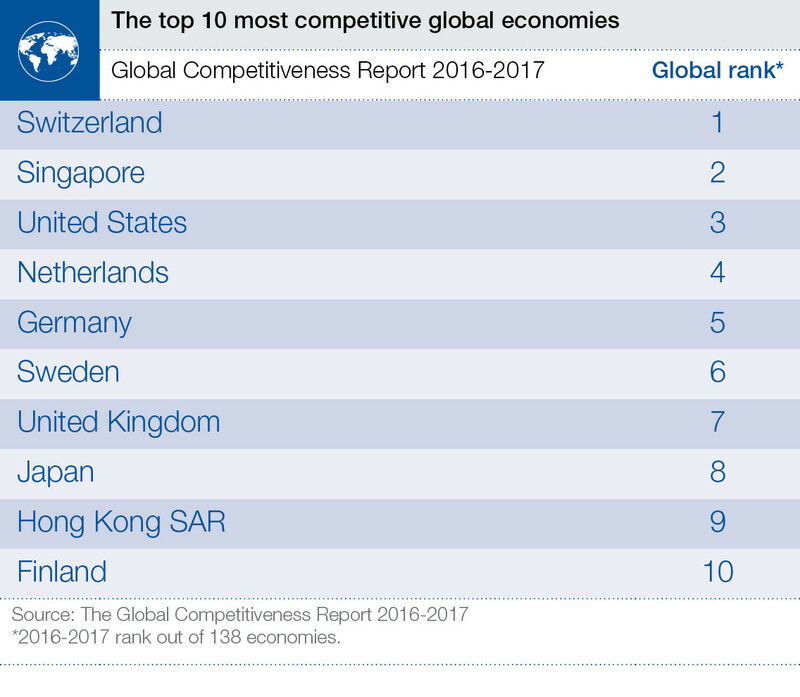 As the World Economic Forum seeks to remain at the forefront of intellectual leadership on competitiveness, this year’s Global Competitiveness Report explains the changes in how the index will be calculated in the future, and invites feedback. The Global Competitiveness Report 2016-2017 is available here. You can explore the results of the report using the heatmap below. Xavier Sala-i-Martin, Professor of Economics, Columbia University.